On October 7th, 2010, teachers, politicians, celebrities, authors, firefighters and people across America will join children to read a book. Read for the Record is a record-breaking campaign that brings adults and children together on the same day to read the same book. 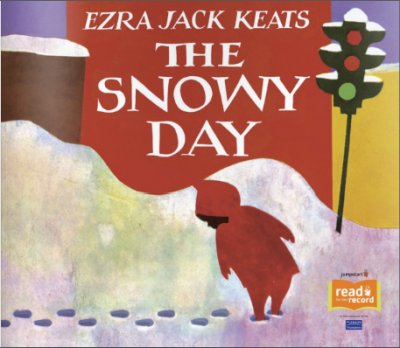 This year’s book is The Snowy Day by Ezra Jack Keats. It is the story of a little boy who wakes up to find snow has fallen overnight. He goes on simple adventures in the snow, like knocking snow from a tree, examining his snowy footprints, creating snow angels and trying to save a snowball for the next day. Jumpstart’s Read for the Record began in 2006 and over the past five years, America has joined in, reading classic stories such as The Little Engine That Could (2006), The Story of Ferdinand (2007), and Corduroy (2008). Last year, records were shattered when Eric Carle’s The Very Hungry Caterpillar was read aloud to children worldwide! 2,019,752 children joined together and shared in this joyous and important experience—raising awareness of the early literacy crisis and helping Jumpstart raise funds to serve children in need! You can organize your own reading event for Read for the Record or join in an organized event. You must register with Jumpstart to have your reading event counted on October 7th. You can even read the book online without purchasing it or donate to give a book to a child in need. As you prepare to read on October 7th and support literacy, why not throw in a little science lesson? Insta-Snow® is the perfect hands-on science complement to The Snowy Day. The Insta-Snow polymer starts out as a dry powder and erupts into white, fluffy, cold snow when water is added. Read the book, then make Insta-Snow in each child’s hands. Dump it all in a bucket and let them play and explore. The kids can try and re-enact scenes from the book. Make footprints, snow angels and experiment with making a snowball. It will be messy, but it’s science and it’s learning through experimentation.